To build muscle you need two main things; physical activity, exercise or training and nutrition. Without some form of physical activity, your muscles will tend to atrophy or lose mass. You can easily see this happening in people who have immobilised muscles such as a broken arm or leg in a cast or anyone who has had prolonged bed rest. While general everyday physical activity can help maintain muscle mass, building muscle mass usually requires higher levels of physical activity or exercise and training. This physical activity becomes more important as you age as we naturally tend to lose muscle mass as we become older. The other major factor in supporting and building muscle is proper nutrition. Without the adequate nutrients; mainly protein, our body cannot repair, maintain and build muscle. Protein intake becomes more important for building muscle mass as we start to train as our muscles have an increased requirement for it. Other nutrients and ingredients such as carbohydrates and creatine to name a few can also impact greatly on muscle growth. Having nutritional supplements can support the muscle building process by providing certain ingredients with greater convenience and higher bioavailability than what you would find in your regular diet. Each of these can work individually and together to help you achieve the muscle growth that you’re after. If you want to continually gain muscle, eventually you’ll need to increase the amount of calories that you consume. One of the easiest ways to do so is through a weight gain or a mass gain protein supplement. These are supplements that provide extra calories through a combination of increased protein and carbohydrates and to a lesser extent fat. How to Use – For lean gains, use a supplement with a protein to carbohydrate ratio closer to 50:50. For general mass and weight gain – choose one with higher carbs and fat. When to Use – Use 1-3 times per day depending on how fast you want to gain and the type of protein supplement. Protein powders and supplements that just provide increased protein can assist with muscle growth due to the ability of protein and amino acids to help kickstart muscle protein synthesis. Protein powders work best as a convenient provider of protein and also if your diet contains enough calories. How to Use – Mix with water for less calories/lean gains, mix with milk for added calories. When to Use – Best used before and after workouts, but can be used throughout the day. You should be having 20g of protein every 2-3 hours for best results. Amino acids are the building blocks for muscle and studies have shown that only the essential amino acids are really needed to provide the catalyst for muscle growth. The right amino acids can have help to improve recovery. How to Use – Combine essential amino acids with branched chain amino acids, especially leucine to support protein synthesis. When to Use – Use before, during and after workouts. 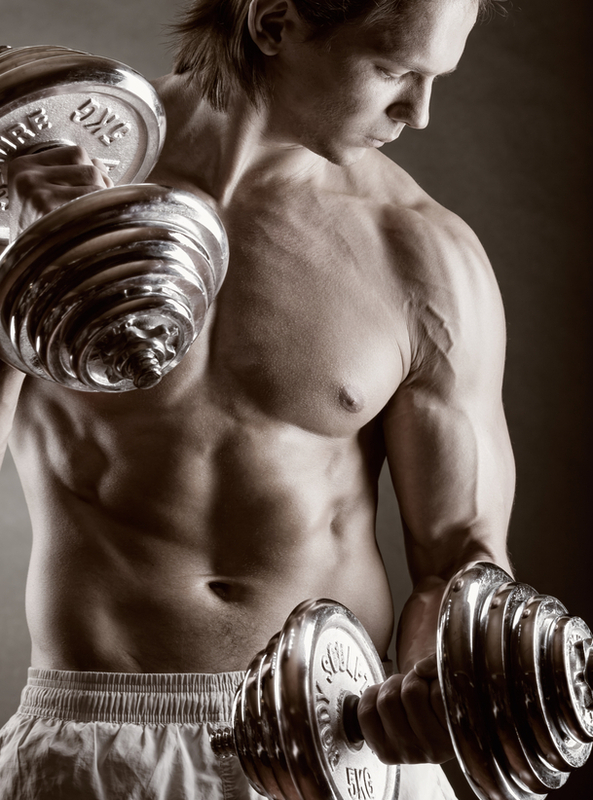 Creatine is an excellent ingredient to help pack on muscle. Creatine is well known for its ability to increase weight, muscle mass as well as strength and other performance measures. How To Use – You can either load up on creatine by taking 20g/day in 4 divided doses for 5 days and then 3g/day afterwards or 3g/day for a month to get to similar levels. Best absorbed with the help of carbohydrates. When to Use – Any time during the day. Stacks With – Any Protein Powder, Amino Acids and Hormone Support Supplements. Avoid caffeine and pre-workouts. Pre-workout supplements help with muscle gain by supporting improved workout capacity. Increased volume of training helps provide more stimulus for muscle protein synthesis and therefore muscle growth. How to Use – For stimulant based pre-workouts, use for only 4-6 weeks. Non stimulant pre-workouts do not require cycling. Stacks With - Any Protein Powder, Amino Acids and Hormone Support Supplements. Avoid creatine supplements. Testosterone and Human Growth Hormone are two of the most anabolic hormones in the body and increased levels can help boost muscle growth potential. As our ability to release both these hormones decline as we age, natural testosterone and growth hormone support supplements can help support optimal levels of the hormones in our body required to gain muscle size. When to Use – Testosterone Support supplements can be used anytime during the day while HGH Support Supplements should be taken on an empty stomach and usually prior to bed. Stacks With - Any Protein Powder, Amino Acids, Creatine and Pre-Workouts. Remember, while the right exercise program and daily diet can help support muscle growth, combining that with the right range of supplements can boost your body’s ability to recover and grow. This is especially true for more advanced trainers and those who have reached a plateau in their muscle growth potential.